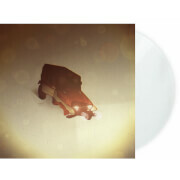 Mondo, in conjunction with Konami, is proud to present the premiere vinyl pressing of the soundtrack to the Playstation 2 horror masterpiece: SILENT HILL 2. SILENT HILL 2 is psychological horror by way of David Lynch, evoking the more surreal and supernatural elements of TWIN PEAKS while telling the story of one man's journey into a hell of his own creation. Like the geographical differences between the maps of the two games, musically SILENT HILL 2 feels like somewhere you've been before but mysteriously different and unique. It's haunting and beautiful at one moment, tense and spine-tingling the next. If SILENT HILL 1 is a frightful jump scare, SILENT HILL 2 will haunt you in your dreams for years to come.